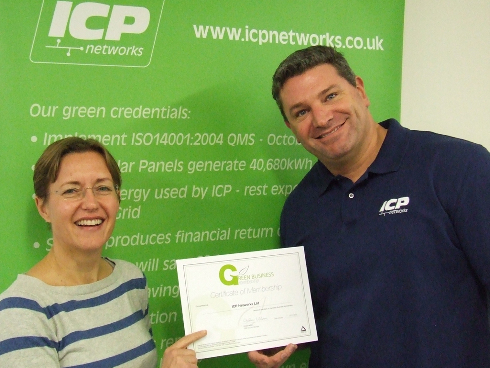 ICP Networks have teamed up with the Green Business Membership in a bid to change local lives. The IT and Networking supply specialists have joined forces with non-profit organisation Groundwork MSSTT offering support and finance to local community programs around the Greater Manchester Area. Groundwork MSSTT are a not for profit organisation which works with the local community providing fund-raising and support to projects like the Cherry Go Round in Stockport, an appeal to reinstate a local playground for children. Businesses committed to ‘green’ practice combine to share ideas and experiences designed to improve the impact business have on the environment whilst also helping community projects, changing the lives of local people by improving the environment. Groundwork are determined to protect existing ‘green’ spaces such as parks, woodland, playgrounds and areas for members of the public to enjoy and their campaign ‘X Marks The Spot’ highlights how 20 million people are estimated to be missing out on the benefits of green spaces. ICP Networks MD Matt Archer, said: “Having been introduced by Cheshire East Business Representative Darren Flannery we were very pleased to hear about a local charity working to changes people’s lives and the places where we all live and work by doing good sustainable work in the community. ICP Networks will support the Groundwork MSSTT and are committed to making a difference to local projects in the Greater Manchester area and beyond.